GOOD SUNDAY MORNING! LET’S TALK ABOUT WHAT CONSTITUTES A LOVE EXPERT! As a married woman of 18 1/2 years and one with decades of Love Gone Right and Love Gone Wrong lived experience; I’ve been referred to on more than one occasion as “The Love Doctor“. When I first started venting about Love as it relates to this pseudo series, it was almost exactly a month ago today. I woke up on a Sunday morning with much to say in my piece Good Sunday Morning! Let’s Talk About Love! I tried to be mindful of Sunday being a sacred day of worship (for my household) and how hard I would stomp on the subject. But I had a lot to say about it…and still do. During a very heated discussion with a loved one this past week, I mentioned their not being an expert in relationships, because of past failures and their immediate counterattack was something along the lines of, “And you’re an expert on Love? You’re not an expert and you write about it!”. They went on further to remind me I’m neither degreed nor certified in Love and the like but yet I write Love Poetry all the time! True. I’m not licensed in Love; so then what does constitute an expert? I liken it to a Child Psychologist with no children or the Mother or Grandmother who can “out Chef” any top Chef but never went to cooking school a day in her life. Such is the case with Love. Who’s more qualified to talk about Love? One who’s lived it or one who’s studied it? What would make me an expert?Though I never said I was. Could one be considered an expert only if they have a high success rate in said matters of the heart? What constitutes success? Years of enduring a miserable relationship or being in an abusive relationship and having the courage to leave it? Multiple sexual partners with no disease or unwanted children or one relationship that is thought to be monogamous until an STD is contracted? The Marriage Counselor who’s never been married or the cousin who’s been divorced twice? In that case the loved one with whom I was “dialoguing” with is just as much of an “expert” as I am; or not. Photo Credits Ericka Arthur for authenticitee speaks with the exception of displayed image. Courtesy of Google Images- No copyright infringement intended. “It’s all relative,” is the perfect answer. I think US culture promotes academic knowledge, and as a result, devalues experience. After listening to people like Steve Harvey and T.D. Jakes speak about certain things, I’ve decided, you do not have to be licensed to speak about love. After all, don’t we all have experiences with the subject? Love that dismount…”don’t we all?” Great points. You are a love expert. Actually, what we all have in common is love. 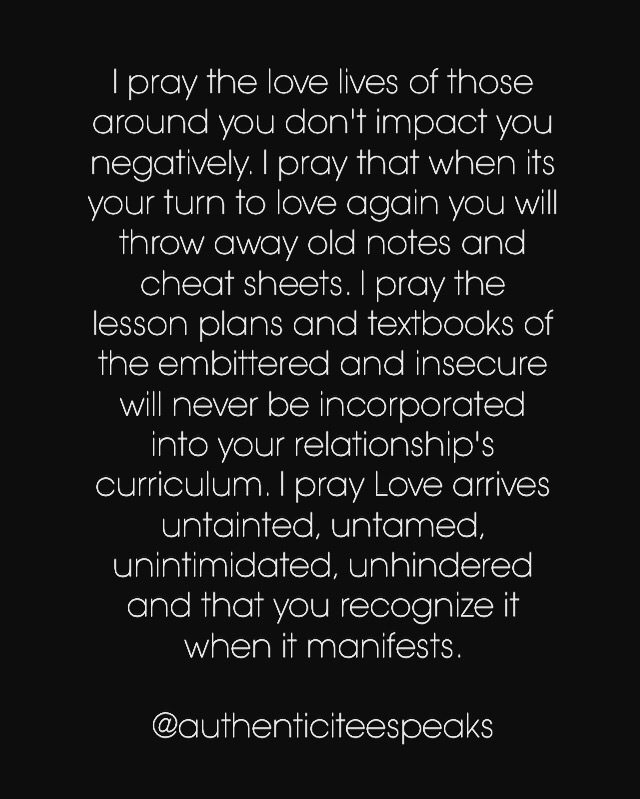 And…a huge AMEN to your prayer. Thank you and God bless. Everyone will have their own definition and stages of love, I think a real expert would be able to give advice to anybody in any situation. The same advice that a hopeless romantic who doesn’t date frequently would probably vary from a social butterfly to a married couple. Experience through trial error can be the best teacher but observing trial and error can be a good teacher as well. Personally, I’ve heard enough horror stories and watched them on TV to form my ideal relationship. I remember watching the first Love and Hip Hop, Flavor of Love lmao. Of course, any ideal needs to be put through trails and tribulations so one can experience how real it can be. One helluva blog you have by the way! Previous Previous post: MEET MENTAL HEALTH ADVOCATE KITT O’MALLEY! 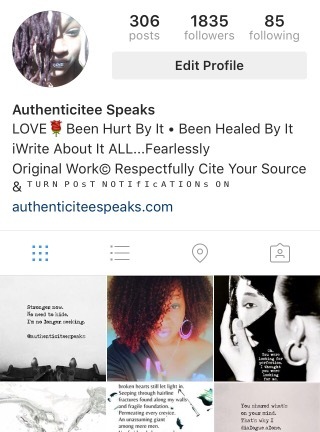 Next Next post: WELCOME TO AUTHENTICITEE SPEAKS!